Model: Pixel XL (or any other Pixel option). Nexus 6P or Nexus 5X for sharper images. Try other settings if the app crashes. HDR+ parameters: "Default" (or "lower") is faster. Read bellow for an explanation about this. Explore the settings menu to enable more features (Portrait Mode, RAW, JPG quality, etc). Colour balance: The "manual fixed black level offset" menu allows you to play with the colour balance. 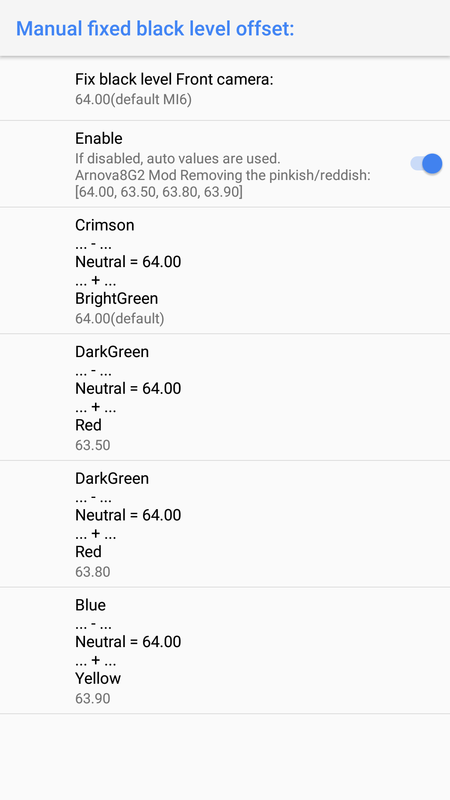 These settings work well on the OP3.